At PAX East 2013, I was able to get multiple doses of Wildstar in different flavors. It’s kind of funny, because I knew so little about the game before I went to PAX East 2013; however, between my friends wanting to go to the Wildstar panel, a scheduled interview with Executive Producer Jeremy Gaffney, and trying out the game on the expo floor, I learned a whole lot about the game in a very short period of time. Therefore, I thought it would be a nice idea to do an MMOCO volume on the game, but as a preview. 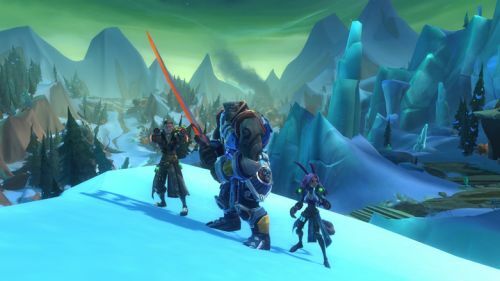 There’s a ton of stuff going on with Wildstar, but you guys all know the drill - when I highlight a game in this column, we focus on the cooperative side of things. A couple of general things about the game before we dive into all that, though. Two things immediately stood out to me when I first got in front of the monitor: the fun, cartoony artstyle and the fact that the game seemed much more actiony than a lot of other MMOs. As far as the artstyle goes, I think people will either love it or hate it, depending on their preference. I happen to like it, but that’s just my personal opinion. The action slant to the game, though welcome, was not a huge shock to me. 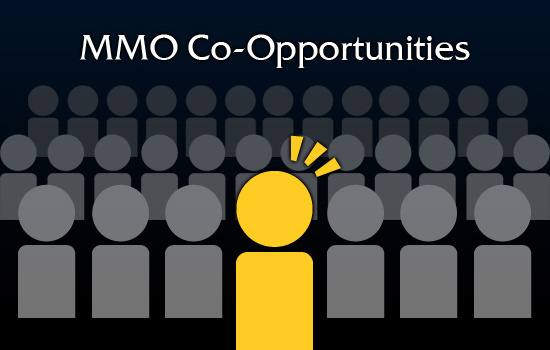 Many MMOs these days appear to be moving more towards an action set-up with less skills, but more active combat. Like a couple other games I’ve played recently, Wildstar has reticles which show the area that a skill will land in. In Wildstar, they’re called “telegraphs.” Very often, enemies will display red telegraphs on the ground to show where their next skill will shortly fall. Players will want to try to dodge or back out of these telegraphs to avoid damage. If you played Guild Wars 2, this set-up will be very familiar. Unlike Guild Wars 2, however, Wildstar displays telegraphs of all sorts of shapes, not just circles. There are cones, multiple red circles at once, and some very strange shapes. This makes gameplay a little more interesting, as fighting different enemies feels more different than if all enemies just had one red circle on their skills. Page created in 0.6508 seconds.